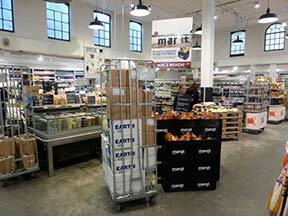 Another example I would like to share with you concerns Marqt, a rapidly developing new supermarket chain in The Netherlands. It has been established by someone who worked for years for one of the world’s global food marketing chain called Ahold. 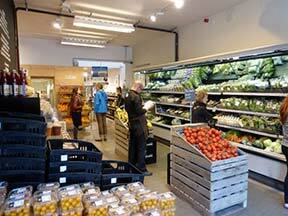 In The Netherlands, Ahold retails through the supermarket chain Albert Heijn. He worked for them for a long time in various senior positions, most recently in South America and North America. He tried to introduce the concepts of selling more seasonal food, more locally produced food, and working with ecological or organic producers perhaps not exclusively but moving more of their products into the supermarkets and using the supermarket ’s dominance in the global food system to make sure there would no difference in price between ecological farm product and conventionally farmed product. He eventually concluded it was impossible to introduce significant reform within the dominant system.So he left. He went back to The Netherlands. He started talking with with a lady who had also – for similar reasons – had left the Ahold global food enterprise. They asked themselves whether it might be possible to create a different kind of supermarket chain? Would it survive in a highly competitive food market? Dutch consumers on the whole go for price and assured quality. They reckon if something is registered to sell on the market, then it must be of acceptable quality, and then what matters is the the price. 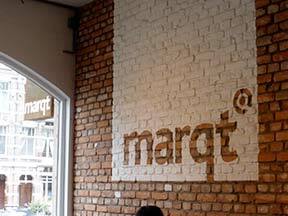 The pioneers knew that what Marqt, their new supermarket chain, offered to consumers had to be price competitive even though Marqt would try to offer richer value for money. It seems to have got the formula right because it has an expanding number of outlets and is now operating in all five of the biggest cities in The Netherlands. Their supermarkets operate in stripped down premises, in areas of high population density and busy urban commuters passing by. They sell fresh seasonal food, emphasise products that are produced within The Netherlands, and to the extent possible, promote those from ecologically produced, or organically certified food producers. 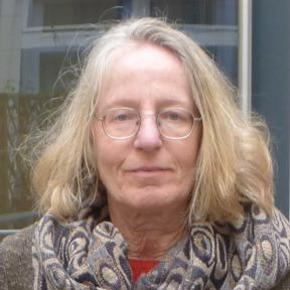 Now as it happens, many women in particular have been attracted to these kinds of food markets, because of the effects on children’s behaviour of certain food additives in processed foods, their concerns for the harm to human health and the environment from use of agrochemicals and the growing problems of obesity and micro-nutrient deficiencies. Numerous women who are producing food products as a side line to family farm production also have responded strongly to the opportunity to develop strong personal and commercial supply links with Marqt, built on short value chains. I think this example is important. It shows that even within a highly competitive modern food system you can begin to make a difference if you work at it hard enough.